Until 2015 it had been decades since I’d paid much attention to the Hugos, which I’d say are still the most prestigious awards in science fiction. Like the Oscars, the Hugos have always courted controversy and always will. What’s been different over the past three years is that the most recent Hugo spat to emerge now has social media as both a battlefield to fight over and a way to whip up hatred for the ‘opposing side’ into levels of frothing madness that have at times brought shame upon the science fiction community. Furthermore the mutual recriminations on social media sparked a pamphlet war, as we shall see in a moment. I put ‘opposing side’ in quotes because we’re all science fiction book lovers here on this website, and I like to think that we’re too grown-up at humanlegion.com to enjoy hurling abuse at our fellow SF lovers or deliberately provoking them, however tempting that may seem at times. I’m declaring this website to be a Hugo-free zone. I’m so fed up with the whole affair that I’m not going to bring it up here anymore… errr… once I’ve written this post. And the reason I’m writing this last post is because even though the arguments over the Hugos frustrate me, I remain fascinated by the science fiction book industry and science fiction in its wider community sense. I like to learn about sales figures, and which authors and sub-genres are hot right now… right now being the most transformative period in science fiction literature since widespread introduction of paperbacks back in the 1950s. That’s why I do the bestseller chart posts. That interest does connect with the Hugos, at least a little bit. At least for today. Mostly by this point, the tone gets uglier, and terms such as social justice warrior or neo-Nazi start to be bandied about, but sometimes there’s a half-hearted attempt by one side of the other to prove their side is right with statistics. A lot of these are spurious, especially anything that uses Nielsen Bookscan to prove anything, but one attempt to recruit book sales stats to the cause did interest me because it ties to what I do. This was the attempt to show that Hugo winners don’t have high sales rankings on Amazon and therefore the Hugos are worthless because the bad guys ruined it for all of us. But this is all pointless anyway! Before I tell you what I found, let me first muddy the waters by questioning the question. People who earn a lot more money that I do, by marketing the kind of big brands you and I have both heard of, always tell me that the point about spending huge piles of cash on advertising is not usually to generate immediate returns. The point is to maintain, raise, or define brand awareness, the return on investment long term. Which should I buy: Coke or Pepsi? A lot of money has been spent quietly influencing that decision. Which should I read: the science fiction novel with the cool space ship on the cover, or the science fiction novel with a cool space ship that also says ‘Hugo Award Winner’? 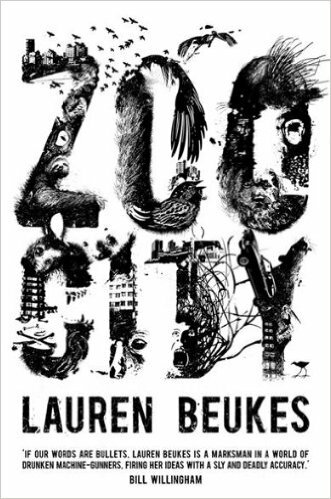 Lauren Beukes has talked about the effect on winning another prestigious science fiction award, the Arthur C. Clarke Award, for her novel Zoo City in 2011. Beukes is clear that the award win led to being approached by a heavy-hitting agent and landing a big book deal for her next novel, The Shining Girls. Zoo City was about to go out of print. Not anymore! Now the movie or TV rights have been optioned for both novels. Ann Leckie won the Hugo (and just about every other award) in 2014 for her novel Ancillary Justice. The book has been optioned for TV, and that’s a big deal. I’m convinced that winning a major award, such as the Hugo, can still open doors of opportunity that would be closed without the award. It’s not a given for every nominee, not at all, but it’s something that won’t show up by only looking at the immediate effect on sales. Okay, but does a Hugo boost sales short term? I won a Hugo! But does it matter? Most of the Hugo nominees won a gentle rise in the sales charts, followed by a gentle decline. Books ranged in this period from #5000 to #50,000 in amazon.com sales ranks. Interestingly it wasn’t the nomination announcement in April, but the winner announcement in August that seemed to have the largest effect on increased sales, at least with some books, moving sales up to the 3,000-30,000 range for sales rankings. 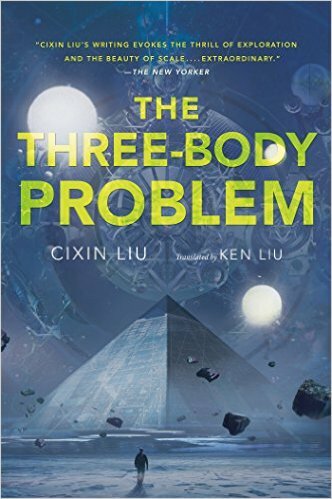 Even in the nomination stage, the eventual winner, The Three-Body Problem by Liu Cixin (I think I’ve got that the right way around – surname first?) probably gained the most overall. I think his win is a wonderful opportunity to explore the worlds of science fiction through other eyes via translations. Amazon with its Amazon Crossing imprint is ramping up to do just this. We’re now about seven months since the nominations were announced. Assume the most successful book averaged 5,000 during the nomination phase (around 10+ per day) and 3,000 since the winning announcement (around 20 per day) then that brings in sales through amazon.com of around 2,500 copies during this period, or say 3,000 to be on the optimistic side. Of course, the books will have sold in other territories and through other retailers. In my local book store the Hugo nominees had a little handwritten note mentioning their status, and that’s a more prominent advertisement than at amazon.com. Consequently I suspect any sales boost will have been greater at physical book stores. I don’t have visibility of other retailer sales but taking a very crude guess that non-Amazon figures are double Amazon and then some (which represents a higher proportion of sales than normal through other retailers) brings us to a crude ballpark figure: the Hugo-nominated novels have each sold between 3,000 and 10,000 since April. We don’t know what the books would have sold if they hadn’t been nominated, but there was definitely a boost following the winner announcement. 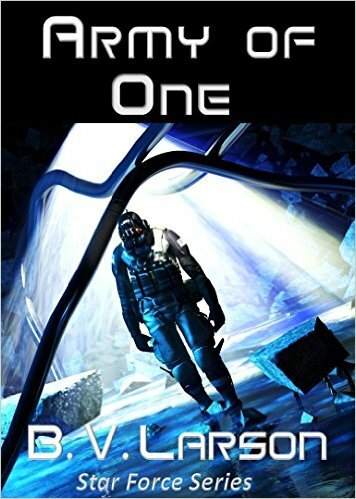 When you recall that these books were all launched some time during 2014, those sales numbers aren’t bad at all, but they are hardly stellar compared with hundreds of other 2015 releases, or the most popular science fiction titles of 2014 such as those from A.G. Riddle and Andy Weir. Of the Hugo-nominated authors only Ann Leckie has been in the top-40 bestselling science fiction authors in recent months. This was from the release of her latest novel, Ancillary Mercy, which looked like it had a big boost from pre-orders of the trade paperback all counting on the same day. The book went in the top-40 for a few days and then dropped out very quickly. The Hugo-nominated books are still selling, of course, which means that any Hugo sales bonus is still performing. So to answer the assertion that the Hugos are so irrelevant to most science fiction readers that they have no direct effect on sales, the rough-and-ready figures don’t support that. They do have an effect, but probably no more than a few thousand sales for most books, maybe over ten thousand for the luckiest, and then only in exceptional years. If you want sales, then having a big name author on the cover such as Joshua Dalzelle or B.V. Larson is a much more powerful brand to attract readers than ‘Hugo-winner’ or ‘Hugo-nominee’, at least in the short term. The full list of nominees for best novel are below. You can check out the latest sales rankings for yourself. Check out the relative number of reviews too. Some of the clearest short-term winners of the Hugo spat were a handful of websites to which people flocked to hear the latest news about the war. File 770.com was one, and I suspect that another traffic winner was a blogger at the heart of the dispute called Vox Day. If you look at his blog, there are a few adverts for books, but I doubt that brings in much money from web visitors. Of course, this is a perpetual challenge facing all high-traffic commercial websites: how to turn all those lovely page views into money. 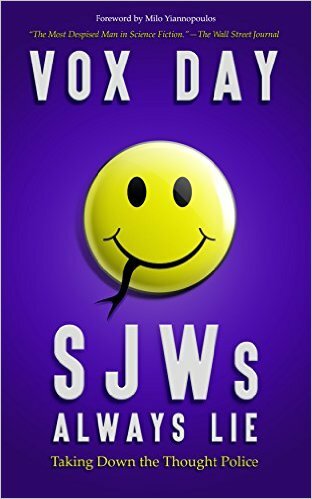 Vox Day’s answer was to write a book, which he released shortly after the Hugo winners were announced. It’s called SJWs Always Lie: Taking Down the Thought Police. To be fair, I think Day has genuine points of view he wants to make, but if he can make money doing so, then so much the better. In his book, Day takes the Hugo controversy and places it in his wider thoughts about what he sees as the dangers of extreme political correctness. In other words, it’s the kind of political commentary of which there are usually a few books very high in the amazon charts at any given moment. As I write this, Donald Trump has Crippled America: How to Make America Great Again at #4 in the overall book bestseller chart. Do you remember a few posts ago when I mentioned Kameron Hurley had done well with a Bookbub advert? Her book, Mirror Empire, did very well but nowhere near enough to get inside the top-20 science fiction book chart that I track. If you ever wondered why I noticed her book, it was because by some cosmic coincidence, it peaked just behind the chart position of Vox Day’s book, which I was tracking and was around #440 in the overall amazon.com book charts for about a month. So, what does a position of 440 in the sales chart actually mean? That’s also where my most recent release peaked for about a week, so I know that pretty accurately. I detour to recap on where I source my figures for those new to this blog. Regular readers can pass this section. My most recent book, Human Empire peaked at around 440 in the overall book charts at Amazon.com. but Vox Day’s book kept in the mid-440s for longer. 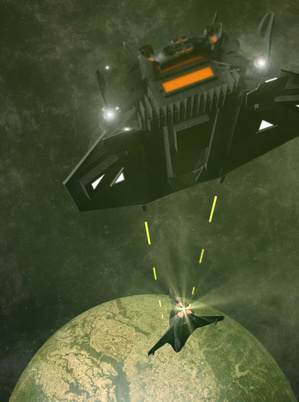 Human Empire sold 4,000 in its first month [see today’s update and next-book teaser here]. I would guess Vox’s book sold closer to 6,000 in its first month. I stopped looking regularly after that point, but it slowly declined and still charts reasonably well today (#5,000 in the Kindle Store). I’d guess it will be closing on 10,000 sales by Christmas. If it reaches, 10,000 then at the $7 sale price that’s over $45,000 in royalties. Not exactly Russian-oligarch rich, but not bad, and a lot more than the short-term earnings boost for any of the Hugo nominees, given that their earnings per sale will be considerably less than Day’s. 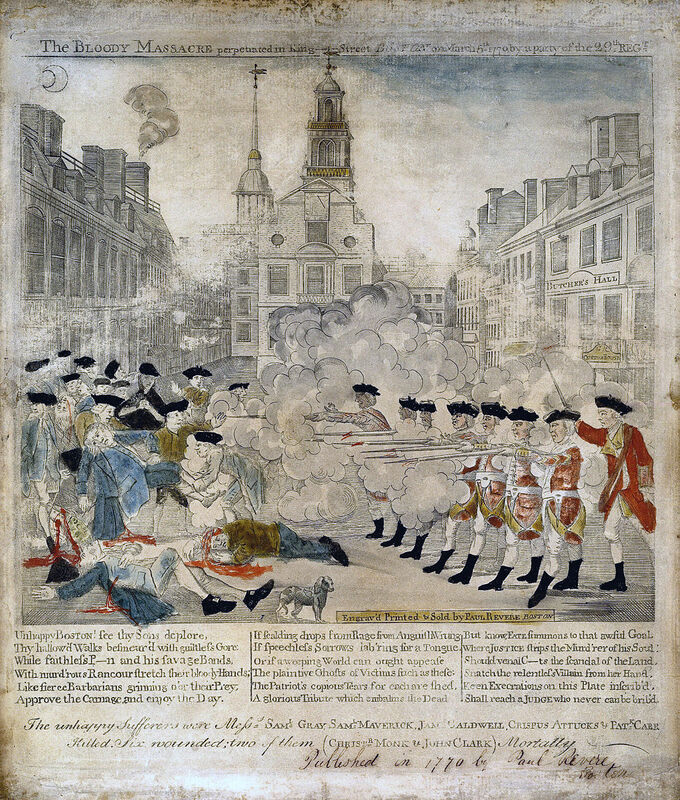 Vox Day and Paul Revere: Pamphlet Wars! In answer to the news of Vox Day’s book came a satire ridiculing Vox Day and the Rabid Puppies called John Scalzi Is Not A Very Popular Author And I Myself Am Quite Popular . At 200 pages long, Day’s book is short but nonetheless a book. The counter-book was 28 pages long, which to me makes it a pamphlet. A slew of more satires followed over the next few weeks, some pulled off sale by Amazon for crossing the line from satire into potentially libelous abuse. SJWs Never Lie: Censorship is Tolerance! Freedom is Slavery! Ignorance is Strength! is 34 pages, If you were an SJW, My Love is 13 pages, John Scalzi Banned This Book But He Can Never Ban My Burning Love is 21 pages. None of the pamphlets sold as well as Day’s book, but the most successful were outselling all the Hugo-nominees on amazon.com for a while. 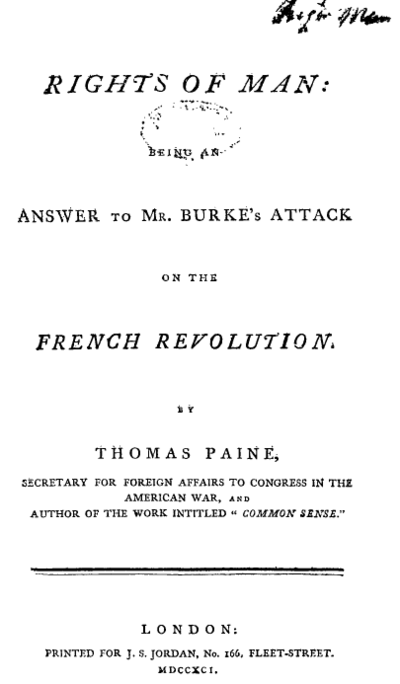 … so Thomas Paine writes a pamphlet called the Rights of Man to say: ‘No, it’s Edmund Burke who’s a bad thing.’ Sound familiar? 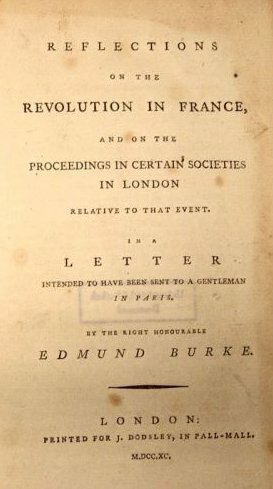 To those with an eye on history, this kind of pamphlet war is nothing new, and would be very familiar to coffee house dwellers of Georgian London or pre-Revolutionary Boston. 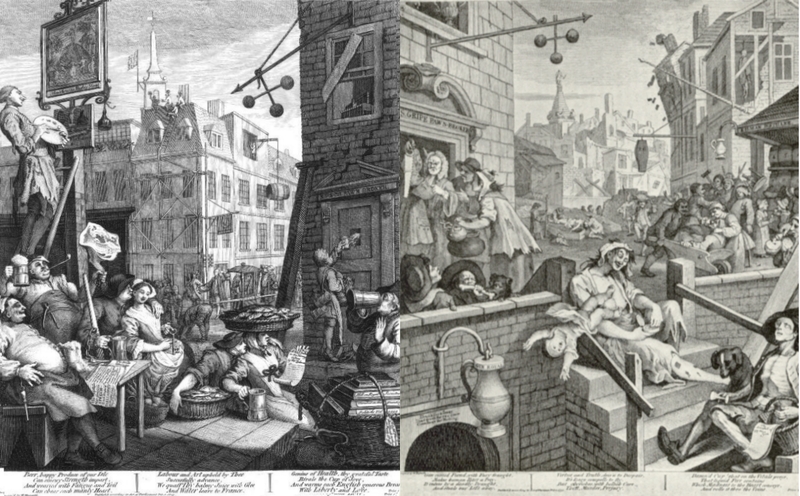 In the days when literacy was not so widespread, pamphlet wars often took the form of engravings, the best examples such as ‘Beer Street’/ ‘Gin Lane’ by Hogarth, and ‘The Bloody Massacre in King-Street’ by Paul Revere (after Henry Pelham), are still recognizable today. Okay, so maybe John Scalzi Banned this Book won’t be discussed by academics a few centuries hence, but I was briefly mesmerized by the vibrant and rude 18th Century pamphlet wars breaking out in front of my eyes on the Amazon Kindle Store, despite the irritation that the pamphleteers were briefly selling more copies than the books that had sparked them. A pamphlet from a few years ago. And another one by Hogarth. Beer good; gin bad. Still applicable today, unless you source a high quality gin. There’s even a sad puppy at bottom-right. I’ve noticed the Rabid Puppies have started putting out their own political cartoons. It’s easy to dismiss this pamphlet war as a phase that died out as soon as it got tedious, but that’s because the underlying issues have gone off the boil. But will they be back next year? I hope not, because they are a symptom of the desire for science fiction fans to wound each other, but here’s the thing: if someone else writes a pamphlet and you think their views are disgusting, you now have an answer. Write your own pamphlet to denounce them and put it up on Amazon for all to see. Free speech is a double-edged sword but it won’t ever work for you at all unless you wield it. Thus the pamphlet wars feed on a cycle of anger and injustice. So my guess is, yes, the pamphlet wars will be back in force in 2016. Some people like to describe the Hugos as elitist nonsense that doesn’t reflect popular taste, and point to poor sales ranking of Hugo award winners as evidence. Having studied the bestseller charts for years, I do believe it’s true that authors who attract Hugo nominations often don’t reflect popular taste or sales figures (Marko Kloos and Jim Butcher were big exceptions this year, which presumably was partially why the Sad Puppy team picked them) but I don’t think that’s a surprise. The people who vote on the Hugos are such a small and self-selecting group that there’s no reason to think they will ever closely follow popular taste. Why should they? On the other hand, the figures do not support the idea that the Hugo-attracting books always sell very poorly or that the Hugo-boost to sales doesn’t exist. We’ve seen that the short-term sales boost on Amazon for Hugo nominees has been somewhere between token and useful, but nowhere has it been remotely career changing, or enough to propel a book higher than the outer reaches of the top-100 science fiction books on Amazon.com. On the other hand, the cachet that a Hugo award brings to your author brand might just open doors to opportunities you would not otherwise have been offered. We can never be sure what would have happened if they weren’t winners but Ann Leckie and Lauren Beukes are probably examples where their award wins gave them openings more important than immediate sale boosts. I am also sure that the exposure to Liu Cixin from his nomination (perhaps even more than his win) will do him great long-term benefit to his English-language career, and I hope to other science fiction authors who write in languages other than English. A clear winner of the Hugo fuss during 2015 has been Vox Day, who is the one person who has successfully monetized the dispute itself. I predict his gloves will be off and he will be stoking controversy far more next year in time for a follow-up book which will provoke a fresh pamphlet war. I for one won’t be paying attention (I hope) and won’t be commenting about any fuss on this website (I also hope) because, you know, I’ve got a day job writing books and I should be concentrating on that. Fingers crossed I keep to the plan. By the way: comments are always welcome, whatever the viewpoint, but I do not tolerate abuse or potty-mouthed language that makes my ears turn red. Tim, thanks for taking the time from your own books to write this. It is quite difficult to find data and analysis on the publishing business, especially in our area of scifi/fantasy. Your posts and Hugh Howey’s Authors Earnings are two of the very few sources of good data on this. I really wish we could make more writers aware of your posts because being informed arms us with the knowledge needed to make wise decisions in our own careers. On behalf of all the writers that benefit from these posts: Thank you! Inside the SF book world. No, I just get a little impatient with all the politics. The job seems straightforward enough–if people are willing to give us their time and money, then we owe them our best effort. If a writer loses sight of that and starts thinking about fame and awards and such, they’re off the path. It’s not about the writer, it’s about the stories. Tim gives his novels his best, and I think readers can tell. I want to conduct myself the same way. That’s a fair point about the reviews, Sgt Mike. I’m sure being a Hugo nominee means you get far more reviews than you would otherwise because readers want to share their vies to be part of the debate, and encouraging readers to talk about and thing about books is only a good thing. But that only emphasises how many SF readers have drifted away from the old school structures of science fiction, such as the club behind the Hugos. I love Mr. Kloos’ books too. He’s a very accomplished writer and it wouldn’t surprise me to see him up for a Hugo award in a few years for something new from him that isn’t military sf at all. I agree with your sentiment that being on the Hugo List this year SHOULD have meant MORE reviews, which is why seeing most with less than 300 surprised me. Look at Marine Cadet, it has 223 reviews and you aren’t a Hugo Nominee. Indigo Squad has 127, and so I expected more I guess. As for out of touch, other than Kloos, only to be honest only the Chinese-English translation book looked interesting. I did order a sample of that one after this post, which I will read when I meet some of my deadlines. As for Mark Kloos, I would hope he finishes the series in question first, I am anxiously awaiting the ending! I hate authors bouncing between series when I HAVE TO KNOW WHAT HAPPENS NEXT!! LOL!! It just seems a mite rude, ya ken? I agree with Sgt. Mike that price is a real consideration. For Big 5 authors, I cannot afford the hardback, so I either look in the public library or wait for the paperback (and even those have grown expensive.) In contrast, with self-published writers who can keep their prices reader-friendly, I can load my Kindle up with all sorts of scifi goodness. On a side note: I guess this Hugo business has spilled into the semi-mainstream. The November 2015 issue of WIRED magazine has a long story about it. While those Hugo folks are busy arguing, I am writing. My contract is with the readers–I write the best story I can, and readers give me their money and more importantly, their time. That’s the job.